Yesterday my kids and I went to the free Discover Oliver Jeffers event at Mayfair Branch Library. This required pre-registration and often these events fill to capacity. But this time we were the only ones there! I told the librarian that we would happily let her off the hook, but she insisted we stay. Everything was set up so nicely just for us with two funny Oliver Jeffers stories, two corresponding crafts and three similarly themed games. 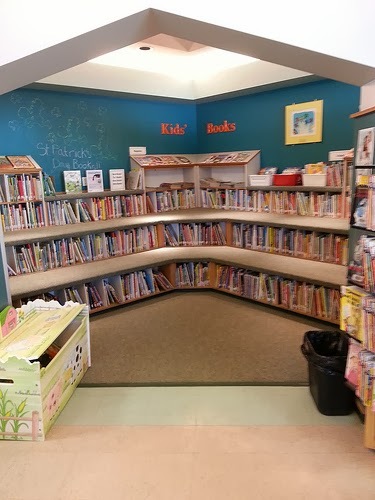 The Mayfair Branch is not our nearest library, but we enjoy visiting it for a change of pace. We love sitting and reading among all of the great books in the little children's nook. There is also a stocked toy box and a few interactive wall mazes to try. This library also has a computer set up with kids' activities. We also enjoy visiting this branch because they often have after-school programming for my son's age group. Many of them are registered programs. But, the moral to my story today is that, even if you wander across things on our monthly Event Calendar that are registered programs for the same day or next day, do not assume that it will be booked. It is always best to book in advance of the event to avoid disappointment, but sometimes there are still openings. It's always worth a quick call if you are interested. 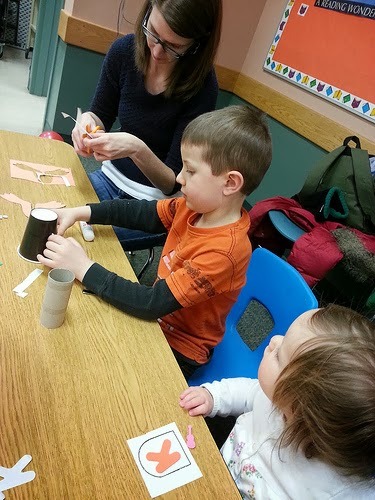 My family loves all the amazing programs provided by our Saskatoon Public Library. You can always find them in the library's online calendar, in the Library News Magazine and, of course, listed by date and time in the monthly Saskmom.com Event Calendar.